Are the foods you’re eating helping or harming your body? Come find out more at the Zone Anti-inflammatory Diet workshops! What would you do in the day if you had better health, decreased signs and symptoms of chronic disease, improved mental acuity and more energy? These are exactly the benefits the Zone Anti-Inflammatory Diet provides. Research has shown that within seven days of following the Zone Diet, you can start to see an improvement in your own health profile, productivity and, of course, changes on the bathroom scale . . . imagine what 30 days and a lifetime would do? The foods we eat can either help the body or make you feel good or the foods we eat can harm the body and make you feel bad. Certain foods in certain combinations can be very stressful to the body. Your body will react to the stress of food like it would to any other stress. If the poor food choices are not changed, you increase the level of inflammation in the body as well as the stress response. The stress and silent inflammation are the real problems in health today. So many of us are dangerously walking the line toward ill health and disease. Sadly, many of us know we aren’t well but we don’t know where to start to begin to change. By addressing the stress and the level of silent inflammation with Chiropractic and Anti-Inflammatory Diet, these two changes can set you in a new direction toward health. You will see changes in yourself both physical signs and symptoms. 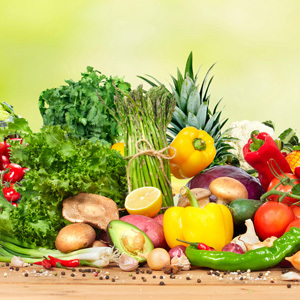 Chiropractic along with The Zone Anti-Inflammatory Diet will help you reach your potential for health and happiness. I have been following the Zone Diet, developed by Dr. Barry Sears, since 2011. In 2012, I became a Zone Health Coach to help people understand the ins and outs of the Zone Diet and how to implement the Zone Diet into everyday life. I have witnessed not only in myself but in others how the Zone Diet along with Chiropractic Care can really me you feel good. Click on the link below to reserve your spot for the monthly Zone Diet Workshop and start putting yourself on a path towards wellness.